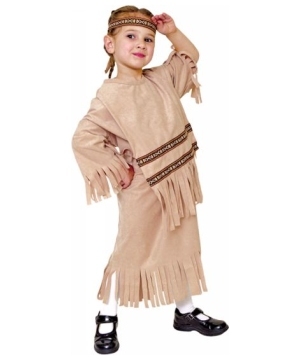 Check our diverse selection of Girl Indian Costumes and popular native American Girl Costumes. 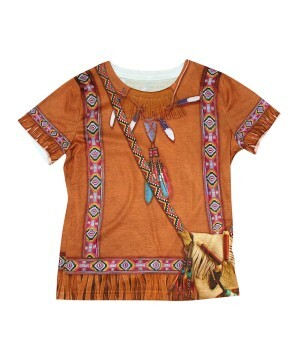 Find Tribal dresses and Pocahontas Costumes for girls, browse Native American outfits and accessories to complete the popular Indian looks for Thanksgiving and Halloween, enjoy secure shopping and Free US shipping for orders over $60. Pocahontas and Sacajawea are just some of the brave Indian princess that we know of today. 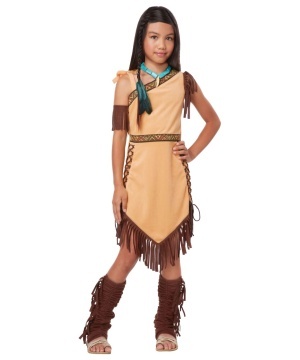 This Halloween your girl can represent one of them wearing an Indian costume for Halloween. She can choose from various styles and colors, from black to pink, her free spirit can pick the shade that makes her look best. Check out the Squaw Costume which includes a suede top with fringes, character pink chest piece, pink leggings with Indian symbols, and feather head piece. She can also be a little different than your traditional Indian in a Blue Native Indian Princess Costume. 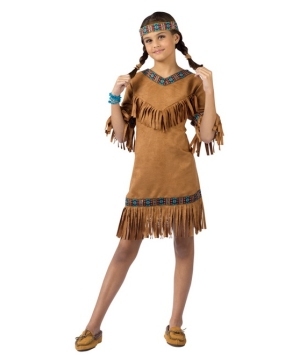 You can add moccasins, and a braid wig to complete your Indian girl costume look. 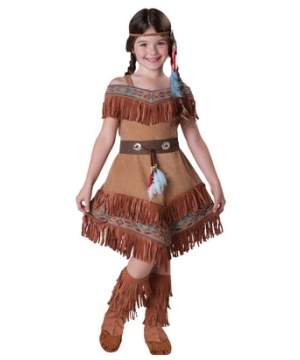 Some of the most adorable Indian Girl Costumes, and most popular too, are the Indian Maiden Girl Costume, Princess of the Dawn Costume, and the Tribal Spirit Costume. Must have accessories for Native American Girls are a long braid Indian Wig, an Indian bow and arrow set, a Tomahawk axe for a tribal warrior’s look or a Western Indian Beaded Breastplate. Take advantage of the forces of nature, if your girl wants a natural Indian look, find dresses that use feathers, seeds and natural elements to represent the Great Spirit of Earth. 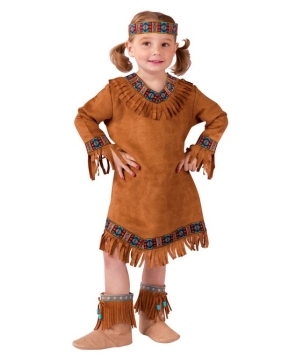 Most girls will feel comfortable and happy wearing these Indian Costumes for Thanksgiving, school plays or Halloween.